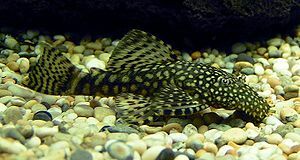 Please copy and paste ' [[Category:Small Plecos]] ' into the end of your article to include it in this category. These tanks must be well filtered as all Plecos are very messy fish! Pages in category "Small Plecos"
This page was last edited on 26 August 2015, at 15:55.